Getting a loan from a bank or a credit union without a credit history is nearly impossible. Banks won’t deal with people with no credit. Let LaFontaine Kia near Detroit, MI 48214 help you out by getting you a great loan even if you have no credit history. Our finance department will do their best to get you a great loan on the car you want. With no credit financing from LaFontaine Kia, you don’t have to settle for buying that rusty old clunker from someone who isn’t going to give you any warranty or guarantees with it. By using our finance department to get a no credit loan you can be sure you’ll get a quality car that has only manufacturer inspected and quality tested parts. We aren’t going to give you a great no credit car loan and then stick you with something that is going to break down just a few miles later. You don’t have to settle for something you really don’t want when you come to us. Our finance department’s no credit car loans give you access to our fully stocked dealer inventory complete with great sales and offers. We also have great manufacturer rebates and offers that you can’t get at those other dealerships. Don’t be fooled by some of those other places that say they offer you a no credit car loan but they bog you down with high interest and exurbanite fees. At LaFontaine Kia near Detroit, MI we’ll make sure you get a no credit car loan you are comfortable with at a rate you can afford. We’ll work with you to get the vehicle you want at a rate that’s affordable and won’t have you counting your pennies at the end of the month. Our financing department wants to make things easier with a no credit car loan, not add to your stress. A no credit car loan with an affordable interest rate is not a fantasy. At LaFontaine Kia you can get the car of your dreams at a good rate. Our finance department will do their best to get you a great deal with a low interest rate. They’re knowledgeable and ready to help you in any way they can. Just go to our website and drop them a line and fill out the finance application to get things started now. We are the no credit car dealership that will help you get the car of your dreams at an interest rate you won’t be scared of. 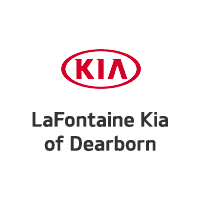 Stop by LaFontaine Kia near Detroit, MI 48214 to talk with our finance department today about how they can help you get a no credit car loan and get into a great car today.